Two Tom Fazio-designed championship golf courses! 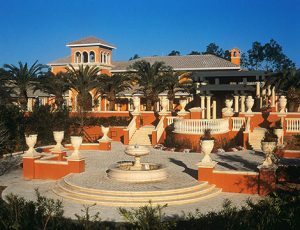 The gated, private golf community of Mediterra Naples is on the border of Collier and Lee Counties. Capturing the beauty and elegance of the Mediterranean, Mediterra features two Tom Fazio-designed championship golf courses. The community is built on 1697 acres, of which 1000 acres are comprised of preserves, lakes and parks. Mediterra is still being developed but will feature only 950 residences at build out. Intimate neighborhoods of sprawling estate homes, villas and coach homes lining shaded streets. Mediterranean influence is evident throughout. Tall arches, cobblestone driveways, slated roofs, vaulted ceilings, and much more are what you’ll find in Mediterra homes. creating an environment that appears to come from the shores of Naples, Italy, rather than Naples, Florida. Mediterra evokes the grace, charm and intimacy, that, until now, has never been successfully imported from Europe. Mediterra features 36-holes of Tom Fazio-designed championship golf. 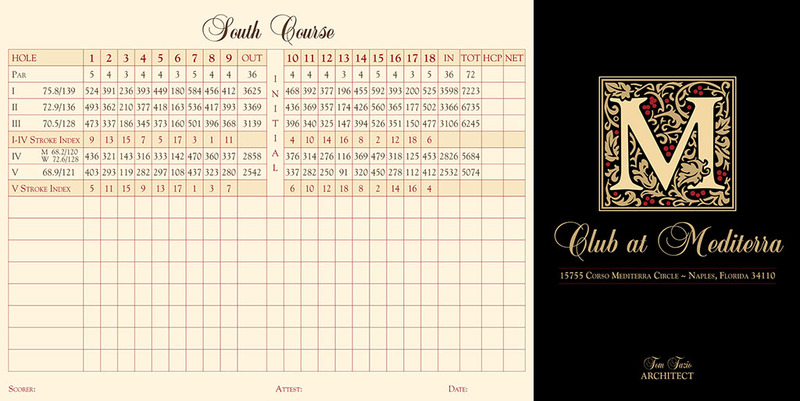 The Club at Mediterra has been certified as the world’s first 36-hole Audubon International Silver Signature Sanctuary. The Fazio Design Team took every precaution to ensure that the golf courses at Mediterra not only supported but nurtured the surrounding environment and habitat. Golf memberships are limited to only 450, golf members enjoy the ability to access the golf courses with ease. 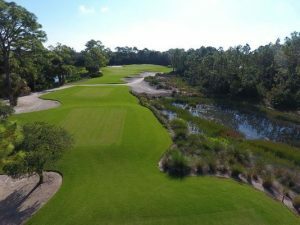 Playing the golf courses, you’ll see how Mr. Fazio incorporated rolling bunkers and the natural lay of the land into both golf courses to complement the Mediterranean countryside ambiance of Mediterra. The South Course challenges the golfer with elevated greens, vast chipping areas, and strategically placed bunkers with beautiful flashing. The North Course blends naturally with the topography, featuring subtle doglegs and greens that angle away from the golfer’s line of play. Both courses were designed with golfers of all skill levels in mind, with nine tee options you can avoid any forced carries. The Piazza is the centerpiece of Mediterra. There you’ll find the 25,000 sqft Clubhouse that features two restaurants, a lounge, the Sports Club, and the Wellness Center. The Grille Room features menus that always include casual, fine and healthy fare – inside or on the terrace. Tavern on 18 serves as a casual watering hole, the 19th Hole, and a Sports Bar. In addition to Family Outdoor Dining and Summer Kitchen with a brick pizza oven. The Mediterra Beach Club occupies a 1.3-acre site on Bonita Beach and is available exclusively to members. For additional information about Mediterra Naples FL, please complete the form below! I or one of my team members will respond to you within one business day.